A new generation of designers is emerging on college campuses around the globe. It’s not just a new wave of design; it’s also a new wave of how design is done and, ultimately, what it produces. The problem? It’s still an uphill battle to get the resources and networks needed to reach these students’ core goal, especially while still in school. And that goal is about helping to make the world a better place. Net Impact, an Oakland, California–based nonprofit with more than 80,000 student and young-professional members whose goal is creating social and environmental “impact” on college campuses and in the workplace, surveyed design and STEM students and found that 88 percent are interested in gaining skills and experience in “impact design” whereas 77 percent are interested in interdisciplinary collaboration. Students collaborating at UC Berkeley. Courtesy Net Impact. At some universities, they do. Unfortunately, at many universities, they don’t. “We can’t speak for all schools, but our research has shown that at some large research universities, in particular, it can be challenging to work in an interdisciplinary way because of how they’re funded, set up, and structured,” Gerard explains. Because it can be very difficult to change institutions, but easier to change the people inside them, Net Impact and organizations such as VentureWell are leveraging students to break down silos and encourage faculty, student, and business connections. “We believe that working with students from the bottom up can be a really powerful way to begin to break down those barriers in ways that can be difficult to do in a top-down fashion,” Gerard says. Student brainstorming at UC Berkeley. Courtesy Net Impact. Indeed, products aren’t the only things that demand design. 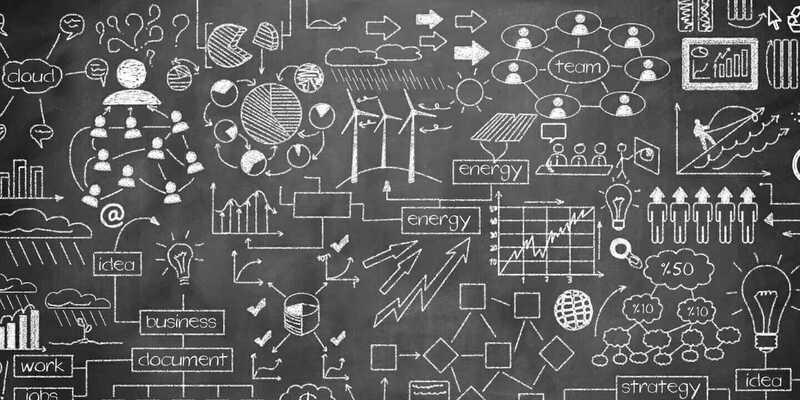 Like a toothbrush, a skyscraper, a lamp, a Lamborghini, or a blouse, business models, programs, projects, and even services must be designed and engineered to be successful. “A lot of the principles that come from the world of product design are broadly applicable and used increasingly by people of all walks of life,” Gerard says. Those principles include concepts like human-centered design, which is design that’s laser-focused on creating processes, products, and experiences that satisfy the unmet needs of human beings. And when designers and nondesigners alike practice design thinking—everyone from architects and fashion designers to CEOs and scientists—it has the potential to help humanity solve problems like water scarcity and climate change. 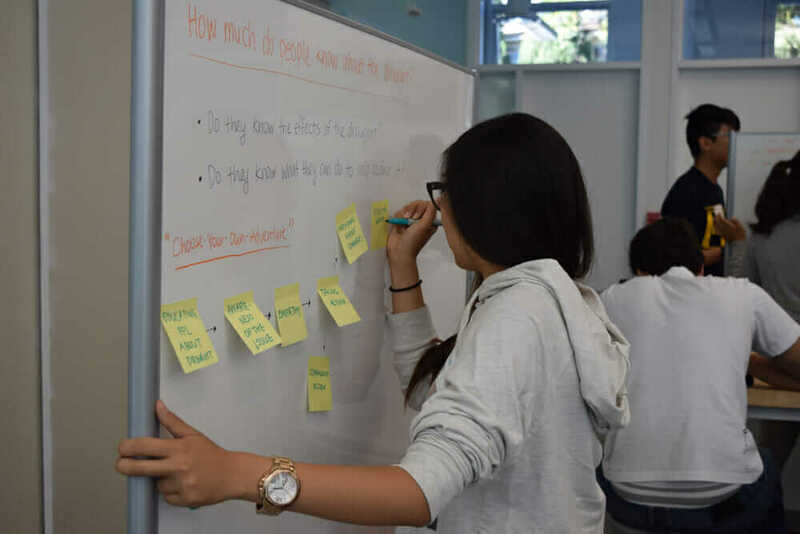 Net Impact’s Impact Design Initiative promotes impact design by helping students build interdisciplinary networks that facilitate design thinking and business acumen on both sides. 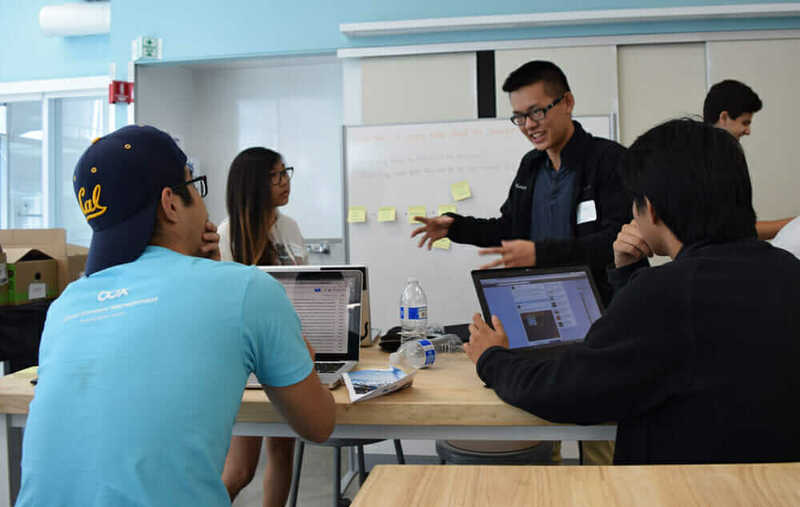 Introduced in 2015 through a partnership with the Autodesk Foundation, the first year is focused on launching and seed-funding up to 20 new Design/STEM Net Impact chapters on college and graduate campuses nationwide; creating value-added programming that brings together the Design/STEM chapters with existing Net Impact business chapters; and introducing opportunities and programs for STEM, design, and business students to collaborate at Net Impact’s annual conference. Net Impact’s University of California, Berkeley, Haas School of Business chapter’s collaboration with the Net Impact Social Engaged Engineers chapter on campus perfectly illustrated the Impact Design Initiative’s purpose and potential in September 2015, when they co-hosted the initiative’s inaugural chapter event. 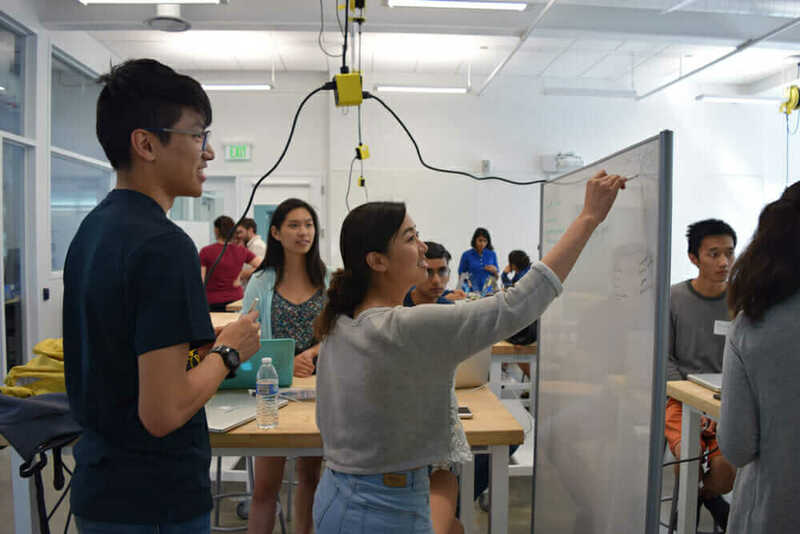 During the sold-out 24-hour “Design-a-thon,” sponsored by the Autodesk Foundation, teams of business and design students used human-centered design methodologies to brainstorm products, services, and processes that would help solve California’s historic drought. The winning team (called “DripIt”) used Autodesk Fusion 360 to design a product that makes people more cognizant of their impact on the drought by offering them a visual representation of the amount of water required to create their favorite food dishes from start to finish. Members of Net Impact’s Villanova chapter working on a prototype. Courtesy Net Impact. 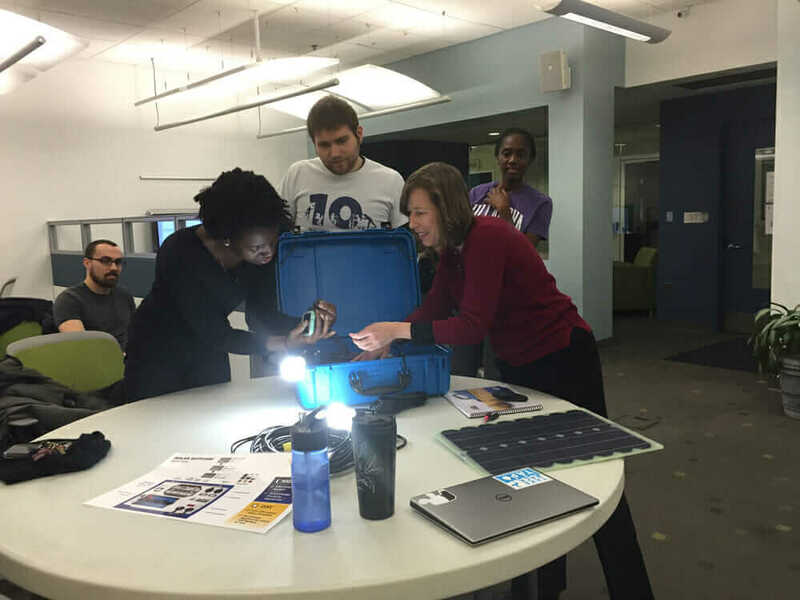 Although the initiative is still in its infancy, Net Impact’s “2020 Vision” is ambitious, with goals of activating impact-design networks on 100 campuses and engaging 15,000 students per year; inspiring those students to move on to career paths in impact design; and producing 400–500 sustainable or impact-design concepts and actionable projects each year as a result of the network. In the end, it hopes this and other programs like it ultimately will spawn a new cohort of design-minded business people and business-minded designers who are equipped to solve the world’s most difficult problems. Interested in joining? Visit Net Impact or contact Impact Design Program Manager Natalia Vasquez at nvasquez@netimpact.org.